If there's one thing Hard West absolutely nails, it's the way it retains the palpable danger and lawlessness of the Wild West and infuses it with a noir-ish supernatural edge. 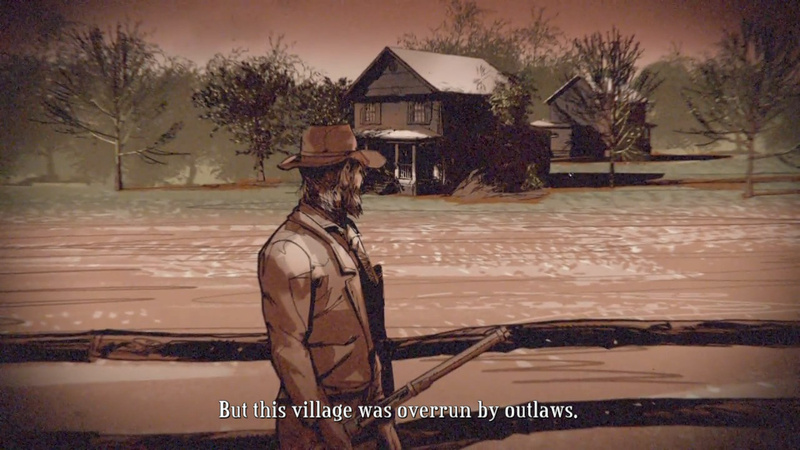 Thanks to some excellent voice acting and a soundtrack that captures a unique take on this formative period (courtesy of Marcin Przybyłowicz, he of The Witcher 3: Wild Hunt fame), this narrative-driven, consequence-ridden experience takes two very different thematic sources and blends them both without diluting either. While much of its world-building is delivered via on-screen text and sketched animations, you'll find yourself investing plenty of time and emotion into the lives and deaths of your posse of outlaws. Gameplay is divided between two distinct perspectives; you'll explore an overworld in a choose-your-own-adventure format where each decision you make can have both positive and considerably negative outcomes on the flow of the story. Each one is broken down into scenarios, with combat represented by an isometric view not too dissimilar to the XCOM games or the recent Achtung! Cthulhu Tactics on Switch. 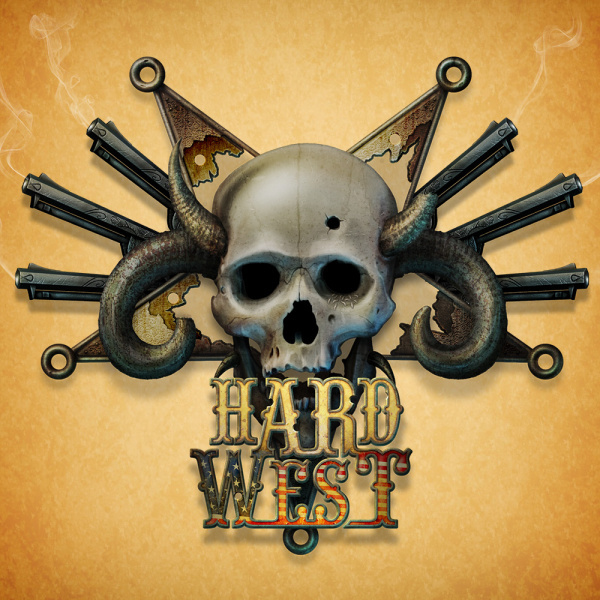 You’ll explore a territory map, guiding your posse into all manner of Western folk into a series of main and side missions. Some encounters will follow a series of dialogue and action-based choices, leading to your gaining some loot or getting injured before moseying onto the next encounter. These encounters are purposefully limited, but their effects carry into the rest of the game. An injured or hungry sharpshooter will be less accurate in battle, increasing the chance of them leaving this mortal coil. There's an intriguing economy that exists between combat scenarios and overworld exploration. While you're resigned to moving a cursor around a map and making a series of choices based on some on-screen text, there's still plenty of strategy required. For instance, the opening section of the game places you in the shoes of a father and son attempting to survive by mining for gold. You only have a select number of goes before your licence runs out, and each attempt costs you money in the hope you'll get a larger return in gold. You can then spend this money on better mining equipment and potentially loot even more cash, or you head to the local town and buy new weapons, ammo and supplies. When combat finally kicks in, it’s your classic 'tactics' affair with saloons and stations just some of the locations you’ll be battling through. It’s a turn-based setup, with each character assigned a series of action points. You can take cover, and use scenery to outflank enemies or elevation to provide overwatch. While each map is relatively small, there’s plenty of options when it comes to strategy, enabling you a refreshing sense of freedom when it comes to overcoming each danger-filled encounter. Success often rides not just upon positioning but on how prepared you are. Having enough Skill (which increases your chance of hitting an opponent and doing more damage in few shots) and Luck (which determines how well cover will protect you, and whether enemies will miss their own volleys) is a welcome change to the random variables of XCOM and the like, as does keeping an eye on your current bullets. It only takes a small amount of AP to reload, so you can refill your ammunition and continuing shooting in the same turn. 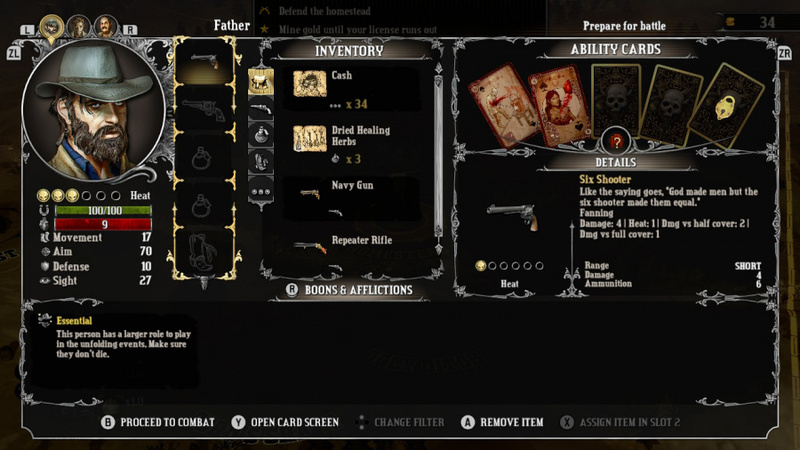 The ability to open up further cover options around each map – including pulling up cellar doors and moving tables – gives every gunfight a little more depth and flair that fits with the noir western vibe. The enemy AI can be an issue, or the sheer lack of it, to be more precise. Your CPU-controlled foes aren't the cleverest of folks – how they've survived in this supernatural-tinged frontier for so long is anyone's guess – so while you can move around and attempt to outflank them, most battles do tend to require you to whittle down each enemy's health while they cower in cover. And while there is a sense of freedom of how to approach each scenario, there's quite clearly an optimum path to follow. In the latter scenarios, where certain characters must survive in order to further the story, victory often boils down to grinding through each mission until you score the win. The lack of a manual saving option can also make these battles that extra bit frustrating. 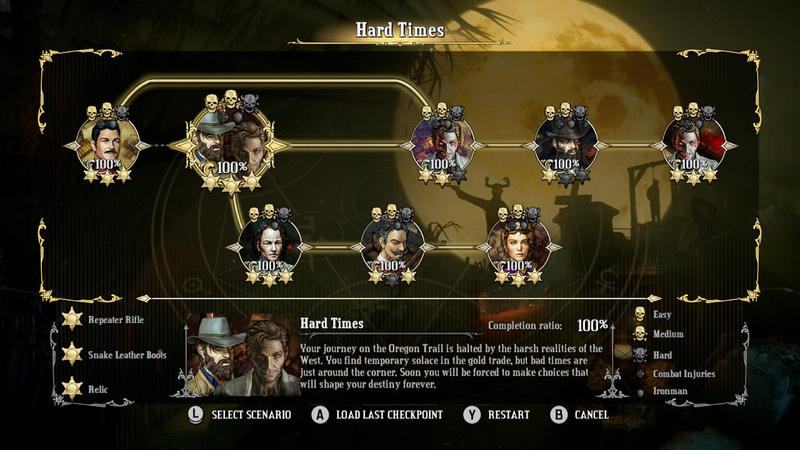 Nintendo Switch is enjoying a growing number of turn-based tactical games, and Hard West is another welcome addition to that strategic throng. With a port that runs super smooth on Switch – both in handheld and docked modes – and a set of bite-sized scenarios to explore, its mix of tactical combat and choice-driven encounters makes for one of the console's more intriguing offerings. 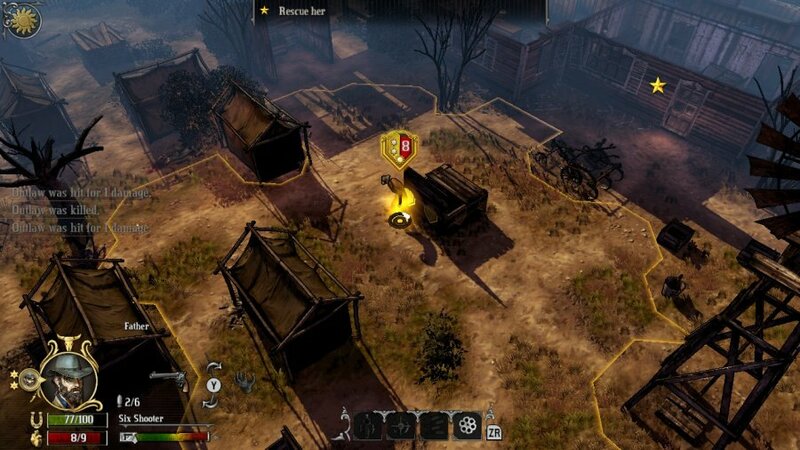 While its combat design isn't perfect and the enemy AI could be better, Hard West’s supernatural-tinged Wild West shtick offers a great way to get into the XCOM formula without relying on too many random factors. And with the Scars of Freedom expansion pack included as standard, there are plenty of ways to exercise your itchy trigger finger on the go. Been looking forward to this. Cant wait to play. The genre isn't really for me, but this definitely looks like a good example, I might give it a whirl sooner or later. So this runs at 60fps? It sounds interesting. I might give it a go! I've caught a strategy fever with the Switch. Played Mario and Rabbits, Into the Breach, Civ 6, Valkyria Chronicles, Wargroove. I wish Xcom would come to the system! 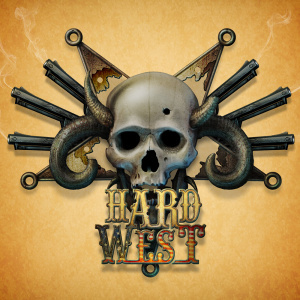 Hard West sounds like a saucy song The Village People would make. "The enemy AI can be an issue, or the sheer lack of it, to be more precise. Your CPU-controlled foes aren't the cleverest of folks" This gave me a genuine chuckle. It is almost like natural selection had a field day in this particular game. So we just not getting a review for x-morphed? I’m buying this game right now!!! Huh, it's completely not what I expected it to be. More like Desperadoes than a twin stick shooter. Or X-Com, if it's in turns. Interesting! i am played this game few years ago on pc, love it! Playing this now and thoroughly enjoying it. If you enjoy turned-based strategy I highly recommend this. @60frames-please You can't even tell the difference between 30 and 60, why keep up with the charade?